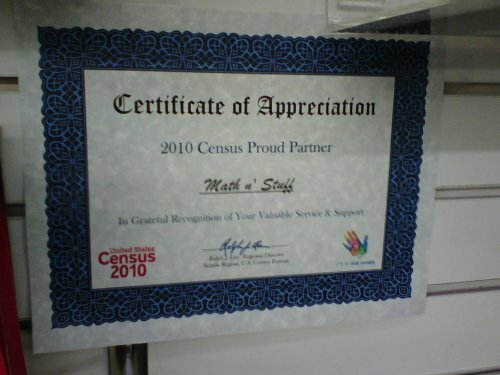 No one could tell me what the shop did to deserve the certificate, but they posted it anyway. Kind of fun! 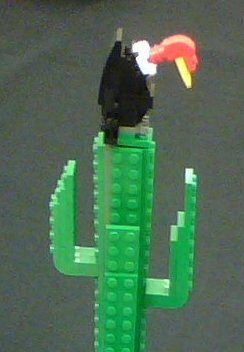 I saw many many many great LEGO creations, and had to pick and choose what to take pictures of and show off, because if I posted a ton of pictures, I'm sure I'd bore the heck out of many people, and sensory overload any LEGO fan. So here's a choice selection of three pictures of LEGO creations that I found interesting. This buzzard is part of a larger display of an old broken down car in the desert. It was a cool display, but the LEGO buzzard just got me where it counts. It's so freaking creative and awesome! And better yet, I think I might have the pieces that I could duplicate it with! This is over near the Math 'n' Stuff selling area. 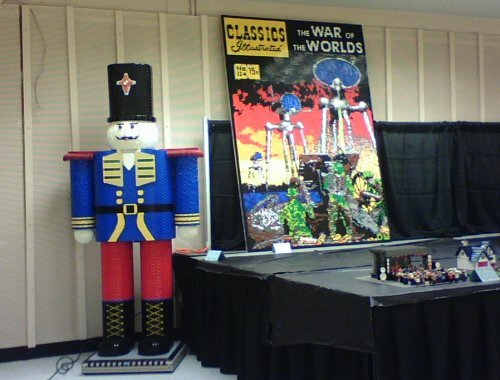 It took me much longer than it should have to realize that the large LEGO poster is the cover of a Classics Illustrated comic book. It's just WOW! 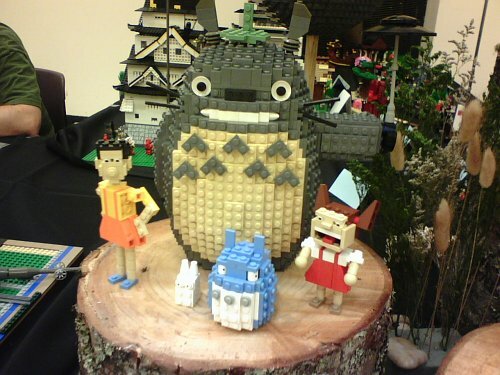 This Totoro is part of a much larger display of Miyazaki-based LEGO creations, including Kiki from Kiki's Delivery Service, the main characters of Spirited Away, and ... I can't name all of them. Just a ton. And they were really well done. The guy setting it up was taking a lot of time and making sure he got it right, so by the time the exhibition opens to the general public tomorrow, I'm sure it will look even more incredible.